As we explore cardiovascular health, our emotional and spiritual heart is just as important as our physical heart, and care must be given to the whole. Holistic health practitioner and Los Angeles cardiologist, Cynthia Thaik, M.D., offers a unique approach to the art and science of your heart. The following is from her My Healthy Lifestyle Blog and offers us so much more on the LOVE and HEALTHY HEART connection. 1. Love improves self-esteem, which leads to better self-care. Self-love is key because when you love yourself, you are much more likely to engage in activities that contribute to better nutrition and physical fitness, and less likely to make unhealthy lifestyle choices. 2. Love is a great antidote to stress. Love counteracts the fight-or-flight response that we so often find ourselves in. Even low levels of stress cause the body to release cortisol, which is associated with an increased risk of developing high blood pressure, diabetes, heart disease and depression. Love downregulates the production of cortisol. Love encourages your body to produce oxytocin, the “feel-good” or “love” hormone. Oxytocin can reduce cardiovascular stress and improve the immune system, which in turn decreases cell death and inflammation. 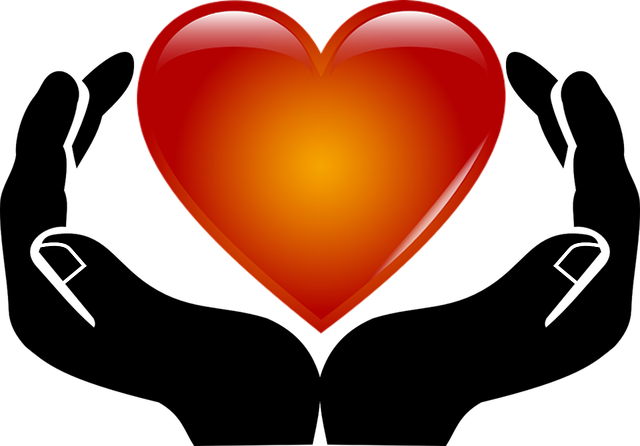 Love also causes the production in your brain of norepinephrine and dopamine (both hormones associated with adrenaline), which leads to increased feelings of joy and pleasure. Love really is your best medicine. 3. Love decreases anxiety and staves off depression, which subsequently reduces the signs and symptoms of heart disease. In his book Love and Survival: Eight Pathways to Intimacy and Health, Dean Ornish, M.D describes one study where married men who suffered from angina (chest pains) experienced far less angina if they felt loved by their wives, even despite high risk factors like high cholesterol, high blood pressure, and diabetes. 5. Sleeping next to someone you love makes you feel more relaxed, which helps you to sleep better. Numerous studies have linked the benefits to the feel-good hormone oxytocin. Adequate rest is vital to heart health and overall well-being, as much of the reparative work of the body is done during sleep. Not just at Valentine’s Day, but all year around, it is important to remind yourself that there is so much more to love than just romantic love. There is love of life, love of nature, love of animals, love of others, and love of self, and all of these acts of love provide amazing health benefits. 1. Be more loving and giving. Bring happiness and joy into other people’s lives. Be generous with your time and money; be a person of increase. You can do this through volunteerism and altruism. I challenge everyone to do one random act of kindness today, even if it is as simple as smiling at someone. 2. Hug often and hold hands. Physical contact in a loving and nurturing way has the ability to instantly improve your mood, lower stress levels and put you at ease. Try to hug at least one person you love every day. 3. Be more playful in your loving relationship and make love often. Remind your partner about how much you care for them, and make time for them, no matter how busy you are. 4. Love life — bring more joy into your life each day. Flirt with life... laugh, dance, sing. One way to manifest this is to allow yourself to really laugh without holding anything back and simply enjoy this pure laughter. 5. Love yourself and be kind to yourself today. Treat yourself like you would another person who you are truly in love with. The more you love yourself, the better equipped you will be to love others. And the more love you give, the more you will receive. 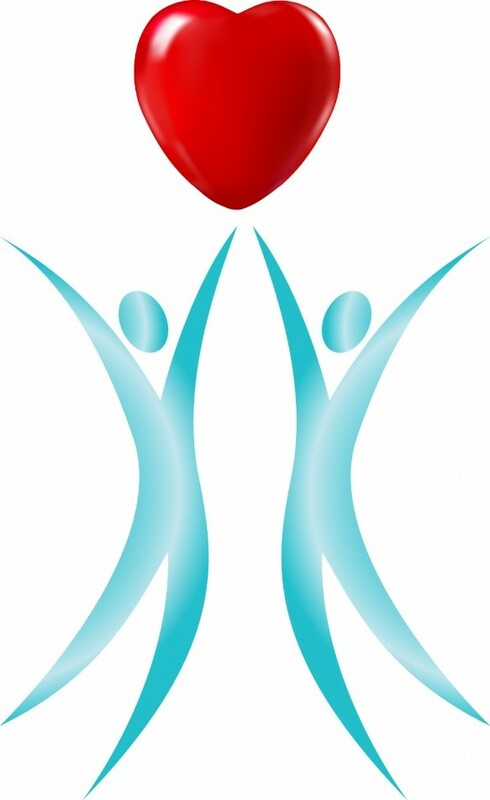 In celebration of American Heart Month this February, we are bringing the heart front and center! The heart is our hardest working muscle, and if we do not properly care for it, it will give out on us. In fact, many sources confirm that the leading cause of death in the United States is heart disease. Luckily, heart disease is also one of the most preventable diseases. So what is heart disease anyway? In its simplest terms, heart disease refers to several conditions that can include diseased or clotted vessels and structural problems. Arrhythmia, cardiac arrest, congestive heart failure and even something as common as high blood pressure all belong to this category. What are the risk factors? 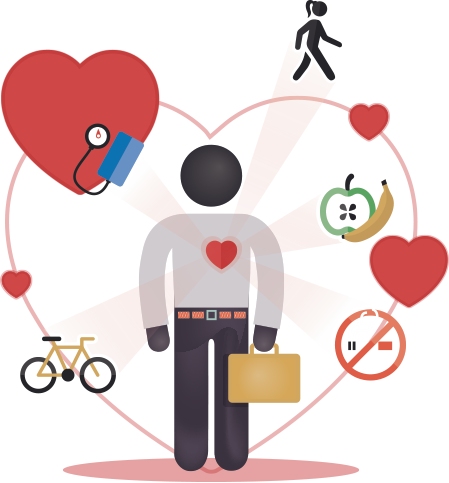 According to the American Heart Association, risk factors are sorted into three categories: 1.) Major risk factors, 2.) Modifiable risk factors and 3.) Contributing risk factors. Major risk factors can be discounted for now, because we cannot do anything about those. Let’s focus on modifiable and contributing risk factors. How can you decrease your risk? *Put down that cigarette! Smokers have a much higher risk of having heart problems later. * Eat clean and healthy! High cholesterol, triglycerides and being overweight all contribute to a high risk factor. *Get moving! According to the New York State Health Department, physical inactivity accounts for 35% of coronary hear disease death. The American Heart Association recommends a minimum of 150 minutes moderate exercise per week or 75 minutes of vigorous exercise per week to decrease your risk of heart disease. *Limit alcohol consumption! Over-drinking can increase blood pressure, stroke, cancer and contribute to high triglycerides, obesity and many other problems. While some research states that red wine can be beneficial for the heart, it limits that amount to two glasses of wine per day for men and one for women. As much as we can all appreciate a good pour, one glass of wine is defined as 5 fl oz. *Lower that stress! 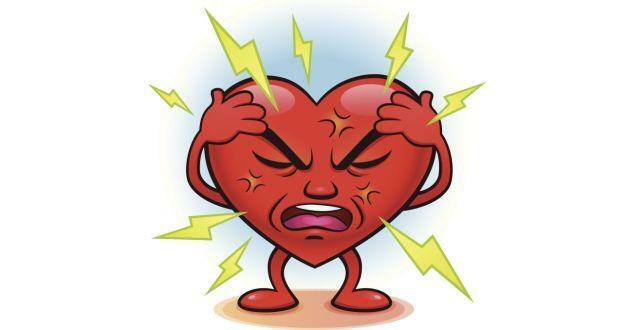 Several studies mention that the body’s response to stress can be a contributing factor of heart disease. Now where do you turn? The American Heart Association has the Healthy For Good Initiative, which outlines several ways to make changes in the modifiable areas. 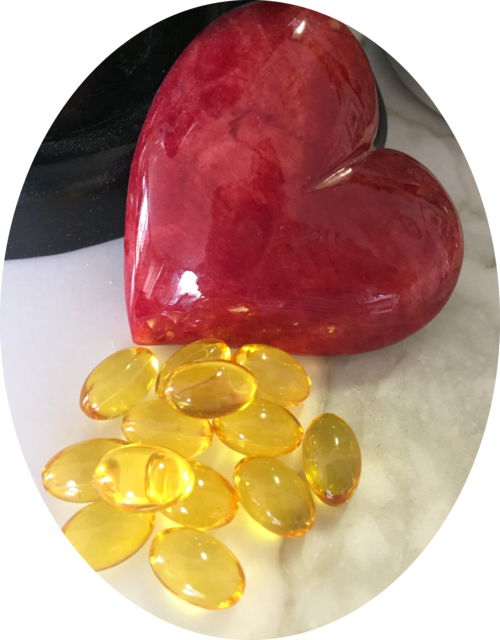 There are also several, known studies on how different supplements can boost heart health (see links below). 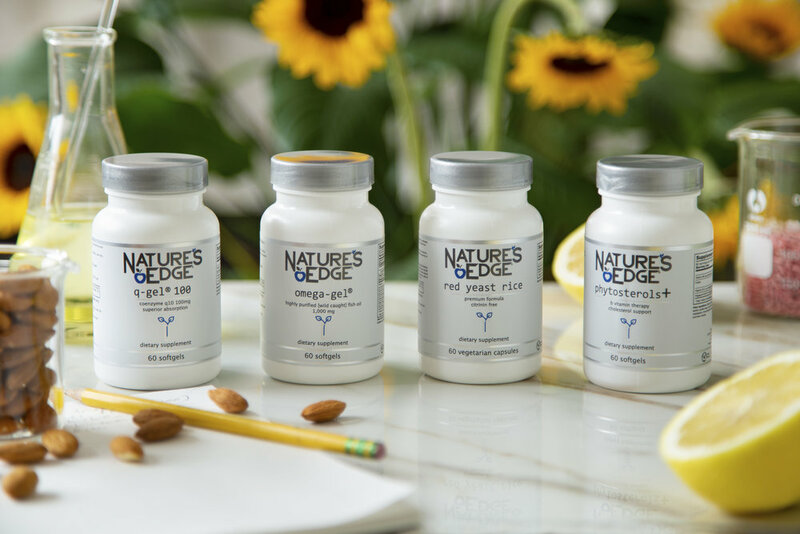 Nature’s Edge offers four different, superior-absorption supplements to help you maintain a healthy heart! *A portion of all supplements geared towards cardiovascular health will go to support the American Heart Association.